GZ-28 - GZ-15 to GZ-40 - Industrial Gas Springs – Pull Type - Motion Control - Products - ACE Controls Inc. 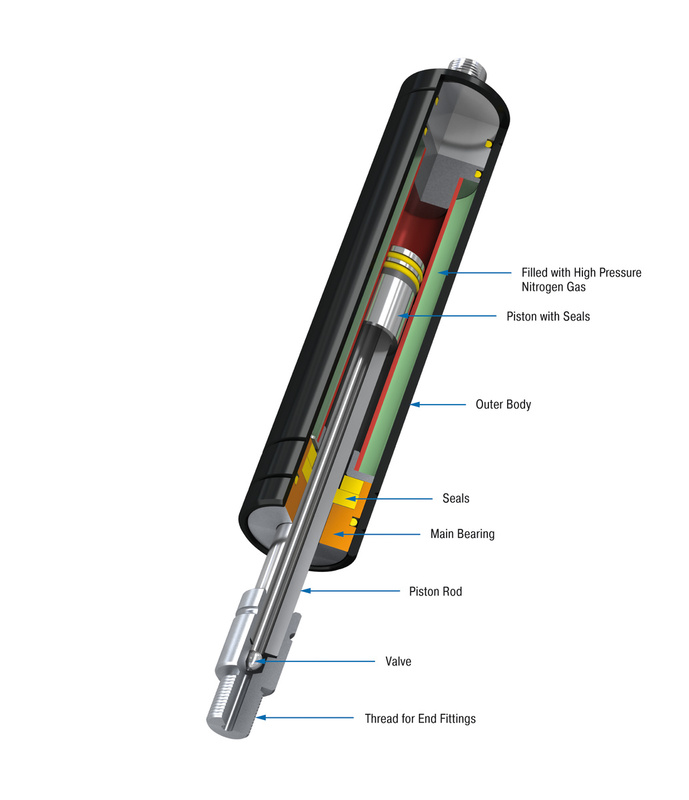 The solution to a lack of space: If standard push type gas springs cannot be used due to a lack of space, ACE's industrial pull type gas springs are the solution. They work in the opposite way of standard push type gas springs. 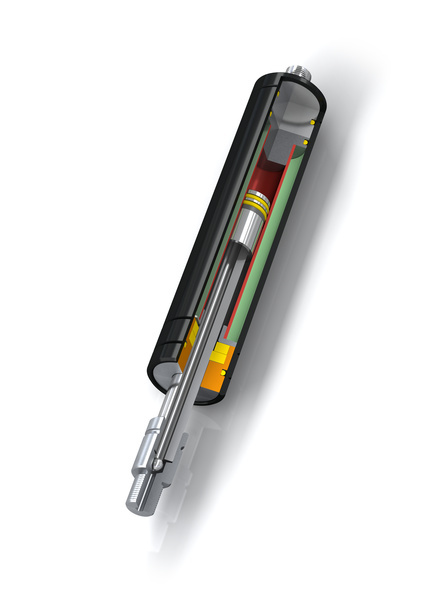 The piston rod is retracted when the cylinder is unloaded. The gas pressure in the cylinder draws the piston rod in. ACE pull type gas springs offer the maximum service life thanks to the solid chrome-plated piston rod and an integrated sliding bearing. The maintenance-free and ready-to-install products are available in body diameters of 0.59" to 1.57" (15 to 40 mm) as well as forces from 8.99 lbs to 1,124 lbs. (40 to 5,000 N) and are available from stock with valve and a large selection of accessories. The traction force can be fine-tuned using the adjustment valve.